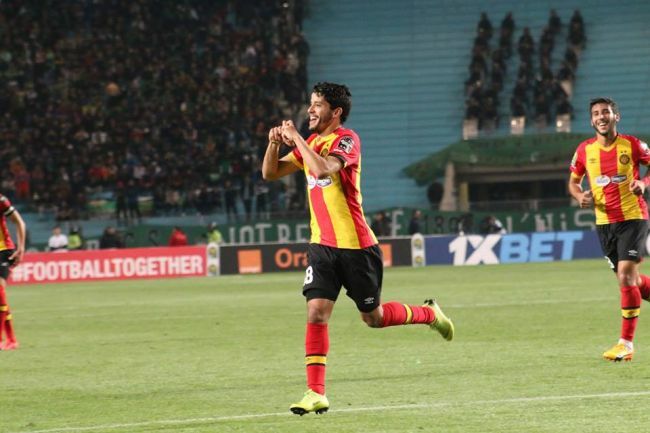 Esperance de Tunis underlined their class in the Caf Champions League as they defeated CS Constantine 3-1 at the Olympic Stadium in Rades on Saturday night to move into the semifinals. The match seemed evenly poised between the two teams but it swung in favour of Esperance in the space of four minutes just after the midway point of the half, as Saad Bguir provided two excellent finishes (on 23 and 27 minutes) to make it 2-0 to the Tunisian giants. It wasn’t all plain sailing for the Blood and Gold, who lost Mohamed Ali Yacoubi to injury a few minutes before halftime. Franck Kom was sent on as a replacement, and the hosts saw out the remainder of the stanza to go to the break with the tie well under control.